Mohammad Hanif’s third novel, Red Birds, opens on familiar ground; as we explore the wreckage of a smouldering plane, 10 years after General Zia met his end in one, Major Ellie emerges. A man on a mission (if only to avoid the monotony of housework), he finds himself in the very ‘enemy camp’ he had been tasked with destroying, only now he is without his 65-million-dollar jet. In the desolation of this unknown landscape, he is greeted by a cross section of the illogical, a boy determined to make it rich by selling sand, and his brain damaged dog with the mind of a poet-philosopher. The true art of the book, however, is that these absurdities oppose the clichés which many others resort to, whether it be tales of woeful refugees or the gun-toting soldier under a fluttering flag. That all the characters have their own quirks, absurd or not, is somehow combined with realities of war, a feat that has come to characterise Mohammad Hanif’s writing. For this reason, when the book takes a spiritual turn in the final chapters, it feels unexpected, and yet it shouldn’t be; it seems comically brutal, and yet, has it no been so all along? Inevitably, this book lingers beyond the final page, if only with questions about the eponymous red birds and as a counterpart, a dog’s narration. After all, Mutt, in many ways, is the core of the book, developing an ethical perspective after having absorbed the volts of a power surge. He requires nothing more than his inherent nature to be read as another absurd facet of the book, however, in being surprisingly enlightened, he is well placed. Where another human narrator could potentially have stalled the book, his animality is itself useful, revealing a refreshing narrative perspective; in having free access to those things that the others – such as his master, Momo – avoid or cannot see, Hanif uses him to enlighten reader and character alike. Perhaps the most memorable element of the book, then, is its triad of narrators, Ellie, Mutt and Momo, and their tragi-comic interactions. Whilst the three are sometimes in conflict, they all seek something vital in the elusive ‘Hangar’, a remnant of US foreign policy on the outskirts of town. This pursuit could only ever be resolved in this place, touched by political turmoil, at once a place of hope and a place of horror. 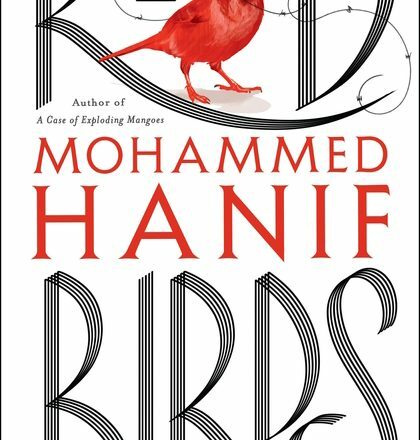 In combining human absurdities and realities with similar aspects of warfare, Mohammad Hanif’s Red Birds makes little distinction between tragedy and comedy. Within this vague setting, with no evidence of ethics beyond that exposited by a dog, Hanif’s final chapters seem to lay bare some terrible truth about the human condition. And so, at the close of the book, both wonderfully humane and utterly savage, it is no surprise that the drop of the red curtain brings only the fluttering of wings as fanfare. Maryam Zahra is currently studying English at the University of Leicester. She has won academic awards in her first two years, and is now working on her dissertation, a study of philosophy in medieval literature. 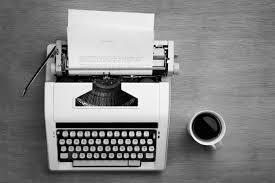 Having gained experience in publishing, she hopes to continue working in the industry once completing her studies.